Tredje opponent og administrator av komiteen: Førsteamanuensis Wenche Hennie Bergland, USN. 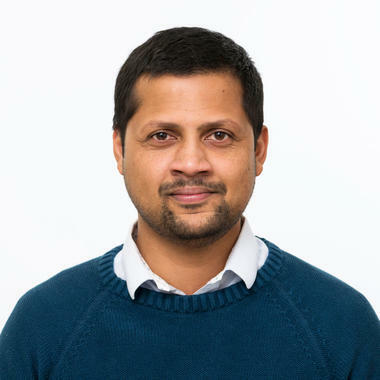 Hovedveileder for doktorgradsarbeidet har vært professor Chandana Ratnayake, USN og SINTEF Tel-Tek, og biveileder har vært adjunkt professor Arild Saasen, Universitetet i Stavanger. Tema for prøveforelesning vil bli kunngjort 10 arbeidsdager før disputas. Offshore drill cutting handling is a challenging task. The study shows an interesting behaviour of the model drill cuttings with the varying drilling fluid concentration. Particles contaminated with a small drilling fluid concentration can be easily pneumatically conveyed compared to the dry particles. The experiments also show that there is no significant deviation between the pneumatic conveying properties with varying drill fluid concentration (at low concentrations below 6%). The fluidization characteristics of the particles with a varying drilling fluid content display a similar behaviour. Therefore, a model can be developed to predict the pneumatic conveying of particle-drilling fluid mixtures based on the experimental data from the fluidization tests. This research study also focuses on the storage properties and the silo parameters of the oily particles. It shows that the time consolidation is a critical factor in designing silos for offshore drill cutting storage. The outcome of the study can be used to design and develop new techniques for transportation and storage of offshore drill cuttings. The study also lays a platform for further scientific studies on conveying and storage of oily wet particles. This doctoral research was conducted at SINTEF Tel-Tek together with the University of South-Eastern Norway, CUBILITY AS and Powder Power AS. The research is funded by the Norwegian Research Council (NFR) and Aker BP ASA under the PETROMAKS II project.